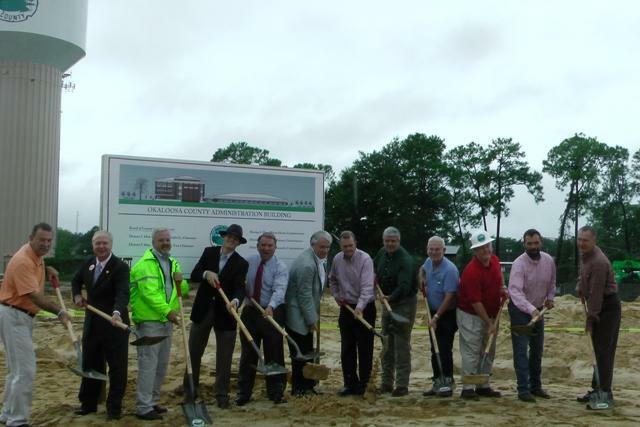 County officials crowded together under tents hoping to avoid the rain Monday morning during the groundbreaking ceremony at the future site of the Okaloosa County Administration Building. 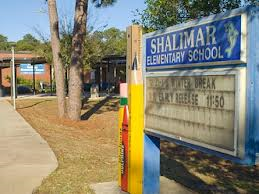 The site was once the home of the Shalimar Annex which was recently demolished in July. County Commission Chair Kelly Windes says the Annex which was built in 1963 was functionally and technologically challenged by today’s standards and needed to be replaced, "Here we are today we’re going to have a redo, we’re going to completely start over. We will build a facility that will be citizen friendly." Commissioner Windes says the nearly 64,000 square foot, three story facility now under construction by Lord & Son is centrally located and will house a variety services under one roof, "A large meeting space for County Commission meetings, Supervisor of Elections events, and gross management department, and information systems will be in the building, as well as tax collector and supervisor of elections." Windes says in the early days of the Annex, security was a little lax and trespassing was a problem, something the new facility will prevent, " The skateboarders could get in and use the facility at random and having a good time. That didn’t set so well with them. Right over there you can just climb up them stepping stones and jump in and there’s a lot of pavement to play on, so that showed a little bit of a problem and suggested that we had an urgent need for more security." Construction of the new $12 million administration building is expected to take a year to complete. 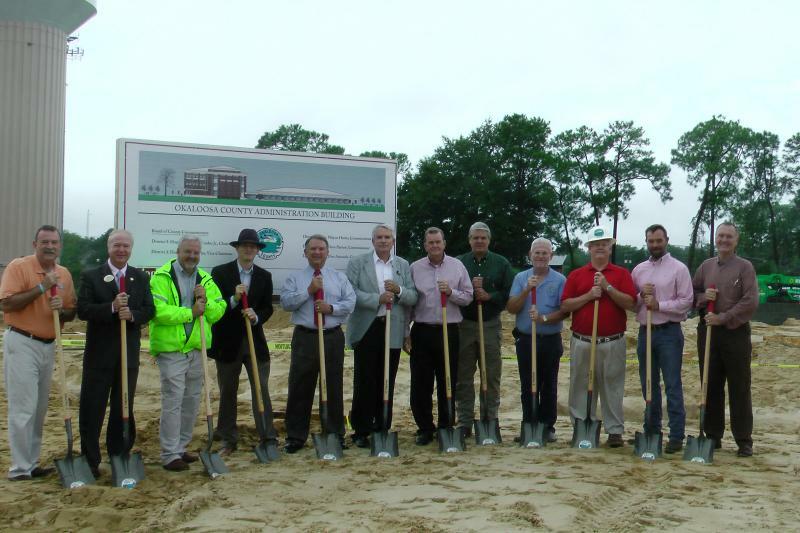 Its opening is scheduled to coincide with Okaloosa County’s upcoming Centennial Celebration. 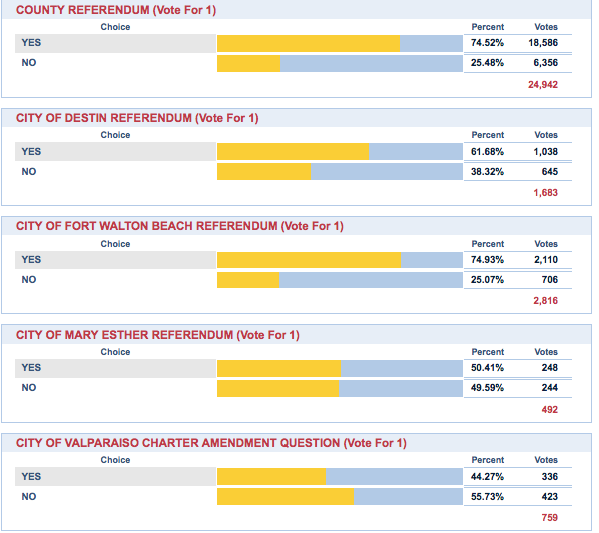 In Okaloosa County's Tuesday Primary there was one county wide referendum on the ballot. The measure asked voters for an extension of temporary economic development property tax exemptions to businesses that create new jobs in the area. The county referendum passed with a wide margin on election night with 75 % of those casting ballots in favor of it. That’s a total of 18,579 votes and voices saying yes to the incentive that could help draw new businesses. Although it’s almost time to head back to school, some area students never left. A number of students in Okaloosa County spent much of the break attending the summer intensive studies program (SIS), more commonly known as summer school. The Summer Intensive Studies program is offered at every level, but for elementary schools students solely in the subject areas of math and reading. Ten elementary schools participated as host sites.